This feature generates reports on the depreciation of the total total value of the assets your company owns. To start using this feature, start by clicking the Report tab and then select Depreciation as shown below. 1. 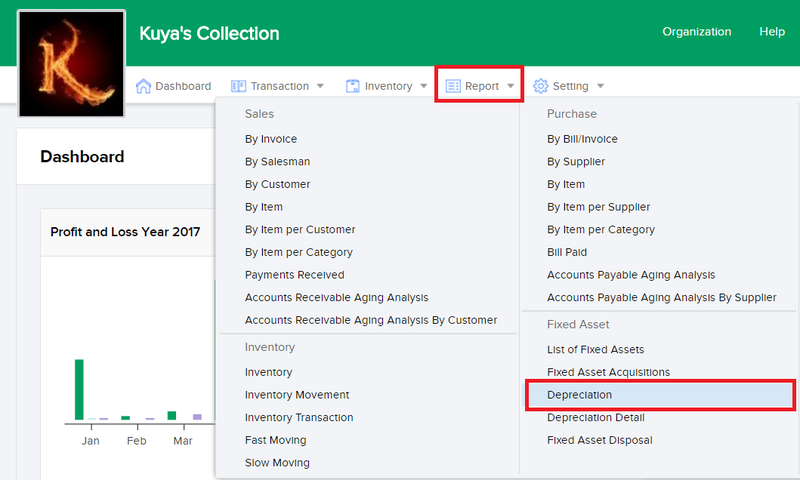 Use Columns From and To to set the beginning and end term of depreciation you want to include on your report. 2. Use the Asset Type field to filter the types of asset in your report. 4. 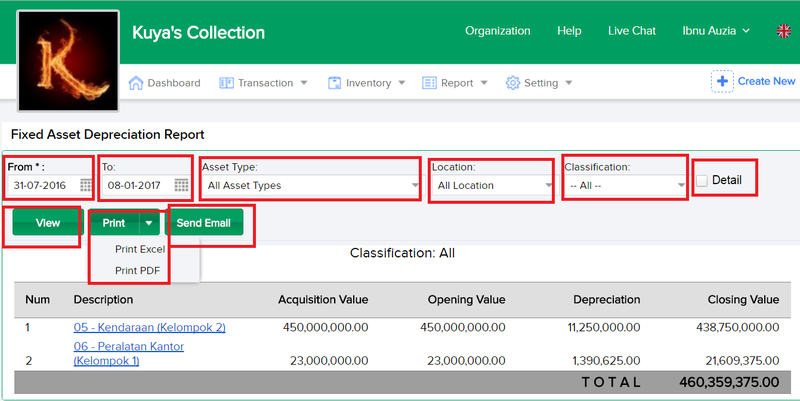 Use the Classification field to filter assets based on their classification. 8. Click the Send Email to immediately send your generated report via email.